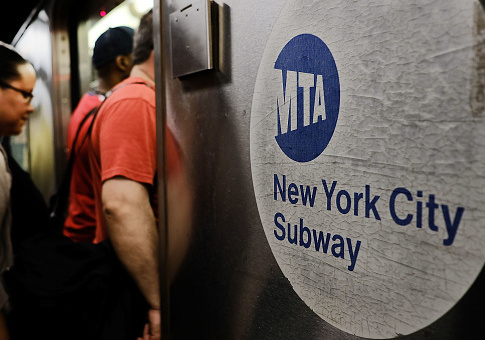 New York City's Metropolitan Transportation Authority (MTA) has banned subway operators from using the phrase "ladies and gentlemen," because it is not inclusive enough. Transit managers will be monitored to ensure they avoid the phrase, according to a report in amNewYork. Announcements on subways and buses will no longer include "ladies and gentlemen" in an "attempt to be more sensitive to gender identity," a source told the paper. The common greeting will be replaced with "non-gendered terms," such as "passengers," "riders," or "everyone." MTA spokesman Jon Weinstein said banning "ladies and gentlemen" would provide riders with "clearer information." "We're fundamentally changing the way we talk with riders to give them better and clearer information," he said. The announcement was part of a memo sent to transit employees last Friday, instructing conductors to be more "empathetic" to riders and sound "more human," the New York Daily News reported. The New York Post said the move is "taking political correctness to ridiculous heights." "They are trying to be politically correct," one MTA employee told the paper. "They are acknowledging that they have some transgender riders. They don't want to offend anyone." The MTA instituted mandatory training on "transgender/gender awareness" for all employees last year. Eight hundred employees were trained on how to "promote an inclusive and positive work environment," according to MTA's Diversity Committee. The New York City subway also launched an ad campaign against "manspreading" in 2015. This entry was posted in Issues and tagged New York City, Transgenderism. Bookmark the permalink.